All power generation comes with risk. However, those risks are traded off against the immeasurable societal benefits provided by reliable and affordable electricity. Where the power source is wholly weather dependent – and the industry that profits from it wholly dependent upon massive and endless subsidies and, therefore, wholly unsustainable – there is nothing to trade off worth the lives of those who take to the skies, particularly for a living. 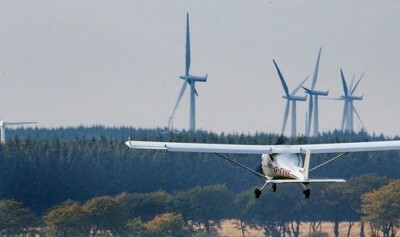 In short, wind power creates a whole raft of wholly unnecessary risks to life and limb, not least for Ag-pilots. Here’s another great piece from the Daily Caller’s Andrew Follett. The proliferation of unmarked wind turbines in recent years poses a huge risk to thousands of pilots flying over farms every day, according to a top lobbyist for crop-dusters.